With a legislative battle brewing, state regulators listened to hours of testimony Tuesday as they decide whether to approve a 19.6 percent increase in workers' compensation insurance rates. The proposed hike stems mainly from an April ruling by the Florida Supreme Court that said a limit on attorneys' fees in workers' compensation cases was unconstitutional. Business groups have harshly criticized the ruling, arguing it will saddle businesses with higher insurance costs. The rate proposal, offered by an organization known as the National Council on Compensation Insurance, said premiums should increase 15 percent because of the attorneys' fees ruling, with the rest of the increase pegged to other issues. "The effect of the decision is to raise costs for no other reason than so plaintiff trial lawyers can raise fees," said Mark Wilson, president and CEO of the Florida Chamber of Commerce. But Mark Touby, an attorney who represents injured workers, said the Supreme Court ruling was about due process for injured workers, not about fees. He placed the blame on insurance companies for not properly paying claims, leading to legal challenges. "The carriers are the ones making these decisions," said Touby, president of the group Florida Workers' Advocates. "They wrongfully deny benefits. That's what it's about." The state Office of Insurance Regulation, which held Tuesday's hearing, will decide whether to approve the rate increase, which is proposed to take effect Oct. 1. The National Council on Compensation Insurance, commonly known as NCCI, typically files annual rate proposals for the workers' compensation insurance industry but filed early for the 19.6 percent rate increase because of the Supreme Court ruling. The decision by regulators is likely a prelude to a legislative fight in 2017 about the workers' compensation system. Business groups are working on legislative proposals aimed at holding down insurance costs, but past debates about the system have encompassed a wide range of groups including workers' attorneys, labor unions, insurers and medical providers. Rich Templin, legislative and political director for the Florida AFL-CIO, called the rate proposal the "opening shot" in a broader legislative fight about the workers' compensation system. "In the interest of everybody out there, this rate filing should be considered very carefully, not rushed into, maybe let the Legislature come back and do its work," Templin told the regulators. The debate about the proposed rate increase and attorneys' fees is shadowed by a 2003 overhaul of the workers' compensation system. With Florida businesses facing some of the highest workers' compensation rates in the country, lawmakers and then-Gov. Jeb Bush approved the overhaul, which included a strict fee schedule for attorneys who represent workers. That overhaul ultimately drove down insurance rates by 60 percent. But it also led to complaints and legal challenges alleging that parts of the system, including the limits on attorneys' fees, were tilted too far toward insurers and businesses and took away rights of injured workers. The Supreme Court ruling in April, in a case known as Marvin Castellanos v. Next Door Company, involved an attorney being awardedÂ the equivalent of $1.53 an hour in successfully pursuing a claim for benefits for a worker injured in Miami. 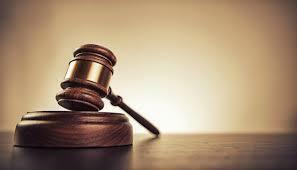 The Supreme Court found that a 2009 fee law, which was an outgrowth of the 2003 overhaul, violated due-process rights. A wide range of business interests, ranging from a Wal-Mart official to representatives of manufacturers, home builders and roofing contractors, testified during Tuesday's hearing that the 19.6 percent rate increase could hurt businesses. "For a small-business owner when they're looking at a 19.6 percent proposed rate increase, there aren't many ways to mitigate that,'' said Tim Nungesser, a lobbyist for the National Federation of Independent Business. "For a lot of companies out there, raising prices may be an option. For a lot of small-business owners, that's just not an option. So what we're looking at is, for small-business owners to effectively mitigate the increase, they really have to cut their labor costs." Copyright 2016 Health News Florida. To see more, visit Health News Florida. 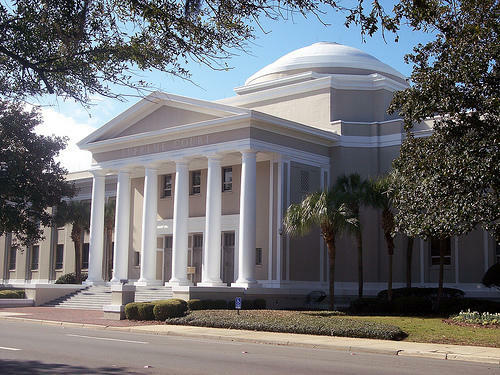 The Florida Supreme Court has turned down a lawsuit that questioned the constitutionality of the state's workers-compensation insurance system -- though the system continues to face three other closely watched challenges at the high court. Justices last week declined to take up a Miami-Dade County case that threatened the longstanding concept that disputes involving injured workers should be handled through the workers-compensation system instead of through civil lawsuits. 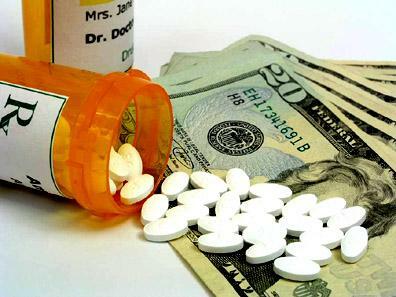 With another legislative fight brewing, the Florida Medical Association is signaling that it could play a large role this year in a debate about limiting the amount of money doctors can charge for dispensing drugs to workers' compensation insurance patients.